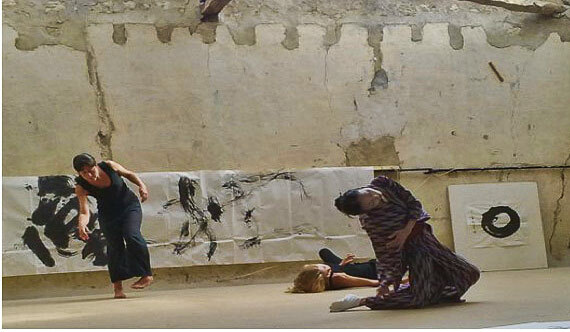 Solos by MASAKI IWANA and MOENO WAKAMATSU from Japan, and group presentation by dancers who come to Kythira from Greece, Spain, Germany, and Israel. 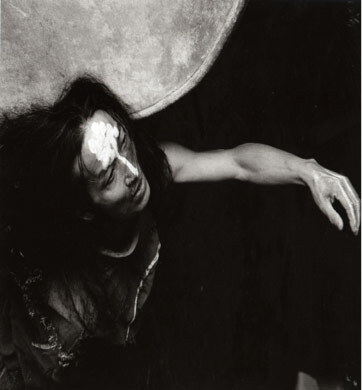 Butoh dance originates from a radical art movement started in the 1960's in Japan. Today in 2013, butoh still continues to inspire people around the world by it's dance in intensified time and space, without fixed form or rules except the truthfulness to one's own self in relation to the world. There will be possibility to participate in a group presentation before performance of Moeno Wakamatsu and Masaki Iwana. This is open only to people who participate in the entire workshop. For people who wish to participate in the performance, it is necessary that you tell us when you sign up for the workshop. For people who have not performed very much before but wish to try, we will decide as we progress in the workshop. All payment - 100 euro non-refundable. For payment by each class (if you do not participate for the entire workshop) is 9.50 eruo/hour x number of hours of workshop. Inexpensive hostel: from 13 eruos/night per person. More expensive hotel: from 25 euro/night. Pariticpants outside of Greece - Please do not book flight from abroad to Greece until you know the transportation information between Athens and Kythira. Contact in Greek: Georgia at datse99@hotmail.com (Greek). Contact in English: info@moeno.com (English) or Georgia datse99@hotmail.com (Greek).